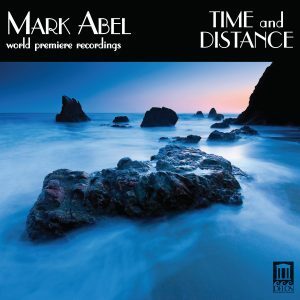 Mark Abel: The Ocean of Forgiveness | Delos Music | Outstanding Classical Recordings for over 40 Years! Mezzo-soprano Janelle DeStefano and pianist Tali Tadmor perform three of the five songs comprising Mark Abel’s cycle “The Ocean of Forgiveness,” a setting of poems by Joanne Regenhardt. The complete cycle appears on Abel’s Time and Distance recording. In this spellbinding new album, Abel gives sensitive listeners food for thought, stimulates the ear with his signature fusion of classical, rock and jazz, and makes you feel, with his gut-grabbing expressions of potent emotion. GRAMMY®-winning soprano Hila Plitmann brings her full emotional range to three Abel works, including “Those Who Loved Medusa,” — a powerful story and evocative musical setting that connects ancient Greek legend with our present day’s #MeToo movement. “In the Rear-View Mirror Now” resonates with anyone reflecting upon life’s myriad twists and turns from past to present. Warmth fills “The Ocean of Forgiveness” cycle sung by mezzo-soprano Janelle DeStefano. The affecting “Benediction” expresses a range of profound emotion as it laments tragic elements in our society while offering heartfelt wishes for the future.